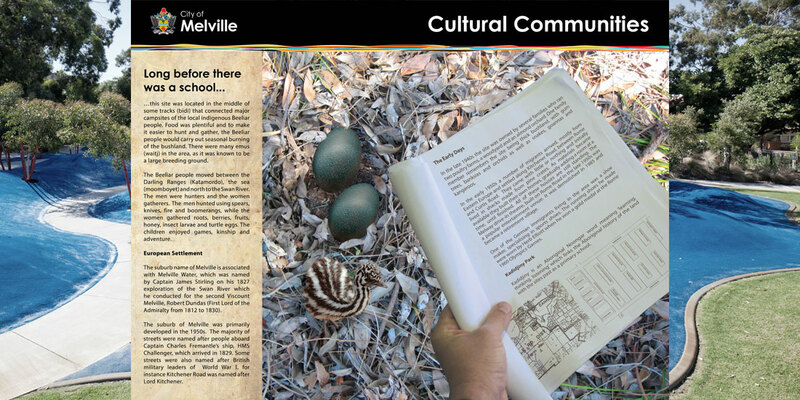 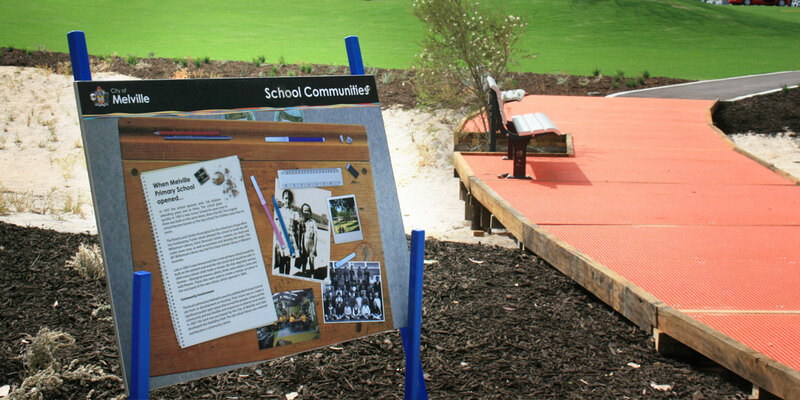 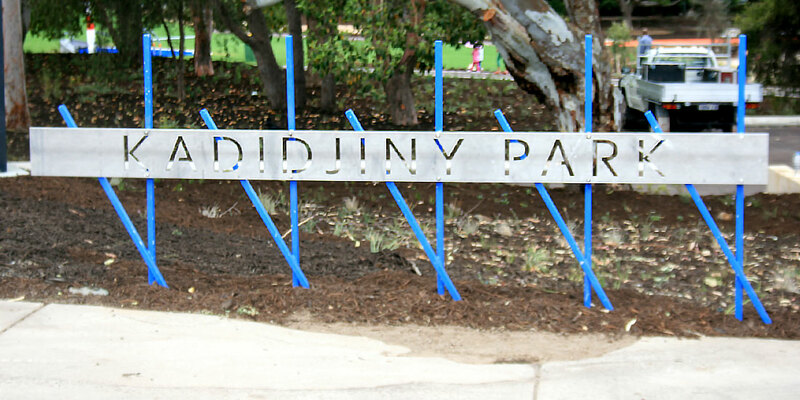 As part of the Kadidjiny Parkland project where a new park was created on the old Melville Primary School site and vacant bushland, Ecoscape were comissioned to create an entrance sign and various pieces of interpretive signage to highlight the history of the park and to also highlight the process of how and why the park was created. 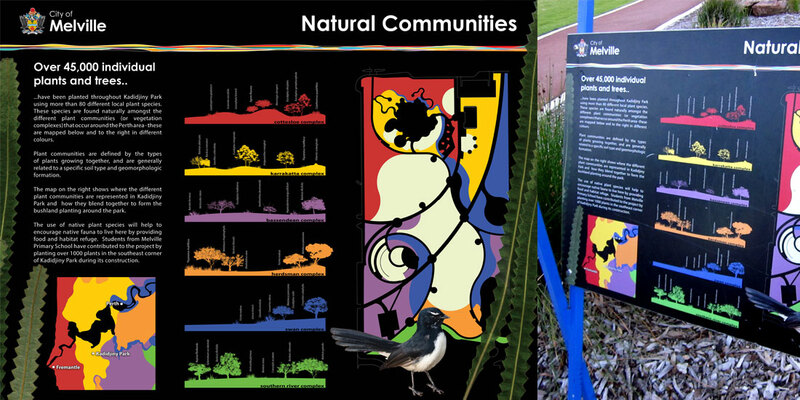 This helped to educate locals on the story behind the park and how and why it was created in regards to native planting and community participation. 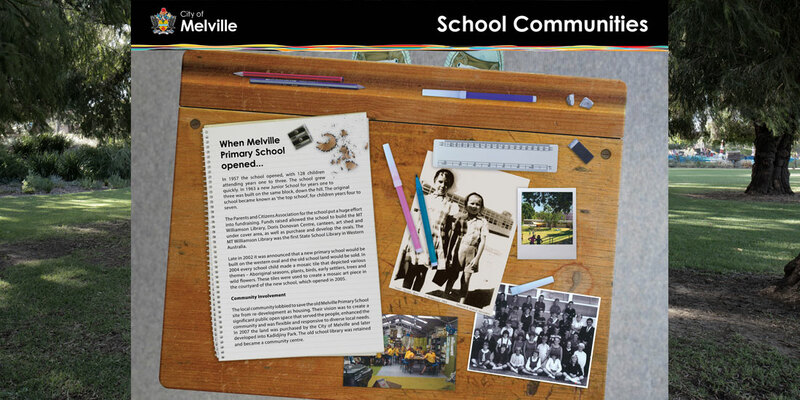 The lengthy history of the Melville Primary school in which the main historic building was retained was also explained through the signage.